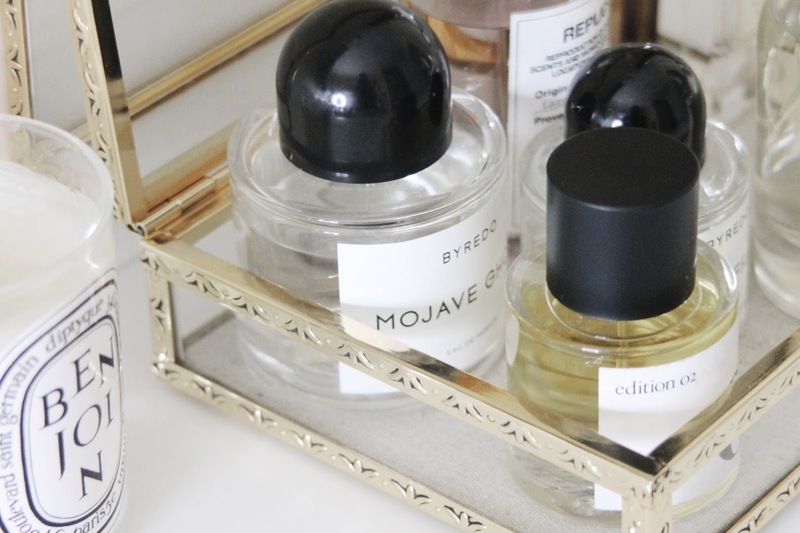 Fragrances are one of those beauty items that I just can't seem to get enough of. 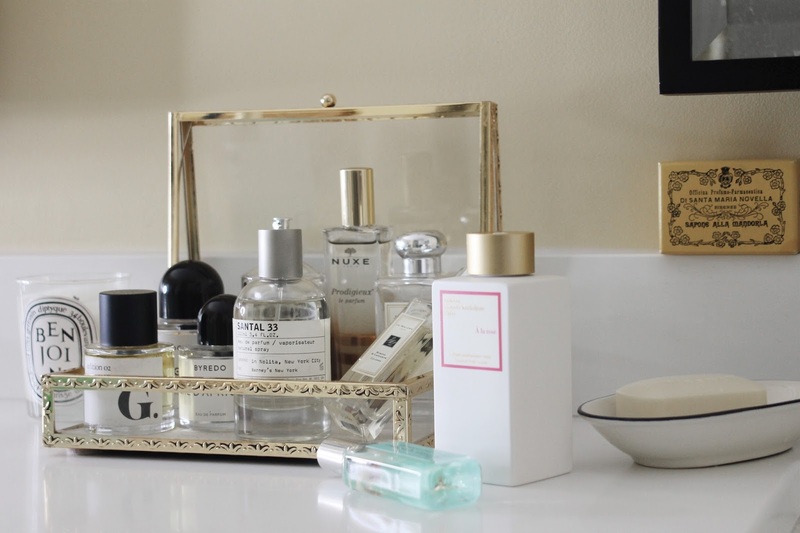 I have bottles of scents in my cupboards, on display in my bathroom and on my vanity, and yet I am always intrigued when I see a new scent being recommended or talked about. 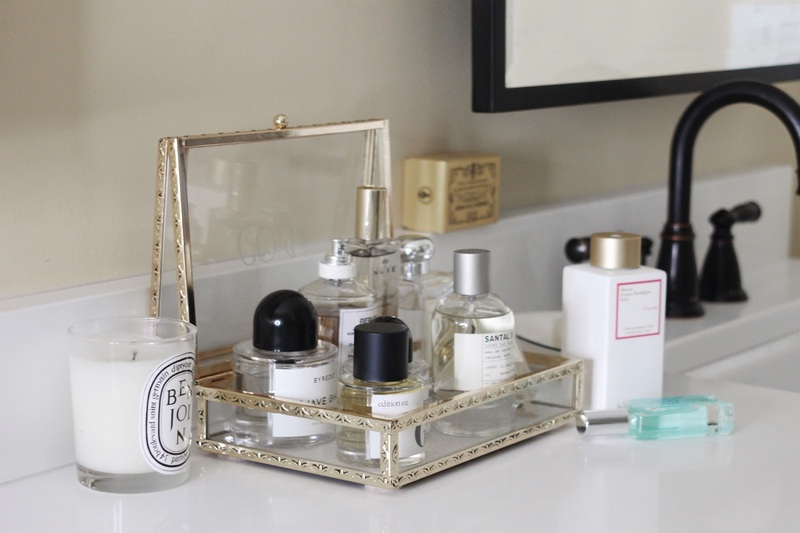 Because scent directly relates to memories, I often use them to evoke emotions that I felt during a certain time...and that really rings true when it comes to the change of seasons. Yes, it's only August right now, but that change is going to start happening over the course of the next four weeks. Soon enough we'll be back to wearing jeans, chunky-knit sweaters and boots while sipping hot beverages under the tawny autumn leafed trees. This is when I'll begin making the switch to those scents with a bit more warmth, but I still like them to be lighter and versatile enough to wear on those hot days during Indian summer. Atelier Cologne Clémentine California - This citrus scent isn't your average, and I mean that in the best possible way. Bright, slightly sweet clementine notes are balanced with a spicy green characteristic thanks to juniper and pepper. What's even better is that after it sits on the skin for a bit, the vetiver base creates a warmth I liken to smelling like soft, clean soapy skin. Jo Malone Mimosa & Cardamom - Crushed cardamom and a fresh floral note that has a citrus like sparkle to it make this one a great pick for all year. It's just the right amount floral, green, and zesty with a base of amber that draws you in. Le Labo Santal 33 - They say you can't go one block in NYC without smelling someone wearing Santal 33. It really is a cult fragrance, but try it on for yourself and you'll realize that it garners more compliments and intrigue than any outfit has ever received. It has notes of tobacco and leather, but to me, the overall scent smells of leathery, warm green figs. You've been warned, because you will become addicted. Jo Malone Wood Sage & Sea Salt - This scent, to me, encapsulates that freshly cleaned feel of a shower after a day at the beach. It has a salty warmth and woodsy, mineral notes that round it out perfectly and will have you reaching for a spritz every time you walk by. It truly encapsulates a day at the New England seaside if you ask me, so it holds a place close to my heart. Nuxe Prodigieux - A white floral with notes of vanilla, coconut and citrus that smells incredible and warm all year round. If you are a fan of their cult dry oil spray, than this will be a welcomed (and inexpensive) addition to your scent wardrobe. Byredo Mojave Ghost - Musk, amber, magnolia and violet give this scent a sparkling characteristic and a warm, inimitable finish that stays close to the skin in the best possible way. The lasting power is incredible here; I love that I can smell it on my clothes the next day and how soft and romantic the lingering scent is. Goop Edition 02 Shisho - This earthy, green, herbal fragrance is definitely an acquired taste, but if you like essential oils and natural scents than this is one for you. It is an all natural scent with a heavy focus on the palo santo note, which is reminiscent of cool air and the forest floor. Byredo Bal D'Afrique - This is a warm yet sparkling scent with notes of vetiver, violet, vetiver, bergamot and neroli that somehow combines to form a unique, green pineapple like scent. I love how different this is, I have never come across anything like this before. I'm also slowly realizing how much I enjoy fragrances with violet and green notes. 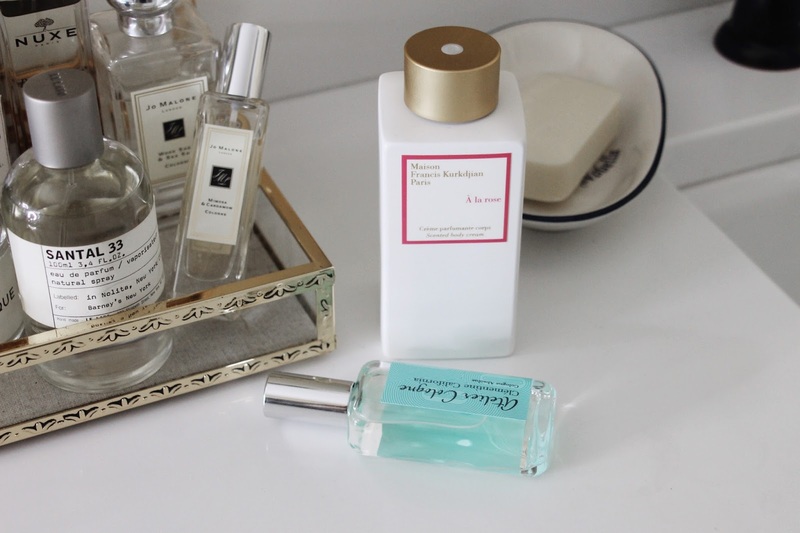 Maison Margeila Replica Lazy Sunday Morning - Clean laundry and soapy skin is the best way I can describe this scent, which was inspired by a Sunday morning spend snoozing in fresh linen sheets. It's a classic scent that I always reach for when I am not in the mood for a "perfumey" scent, but still want to feel fresh. What scents do you love during this time of the year?